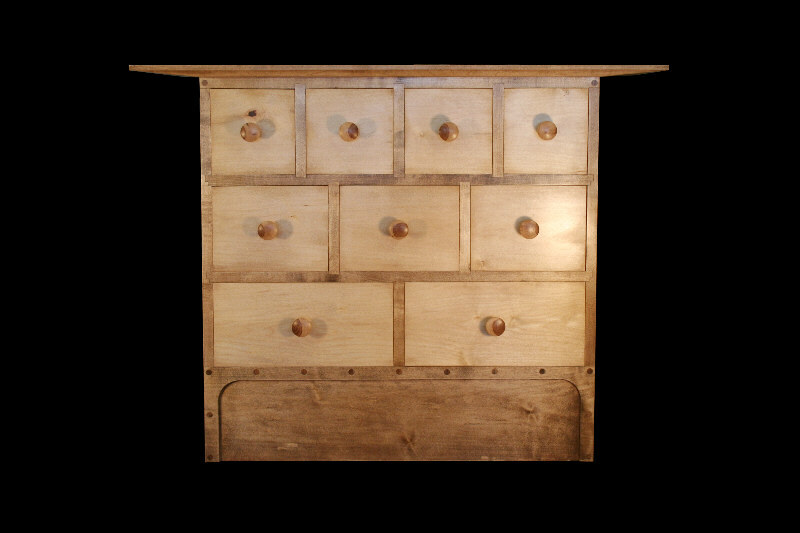 9 drawer Shaker Style Apothecary Chest. Top drawers are sized to hold 25 Cd jewel cases each, or other items. 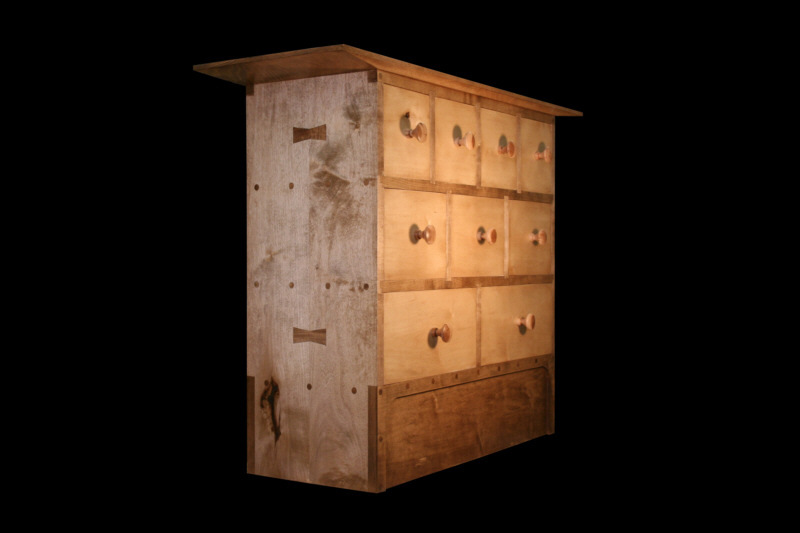 Middle drawers can hold up to 17 Blue Ray or Standard Dvds. The bottom drawers Hold up to 34 Blue Ray or Dvds or other larger items. Construction is of solid hard rock maple. 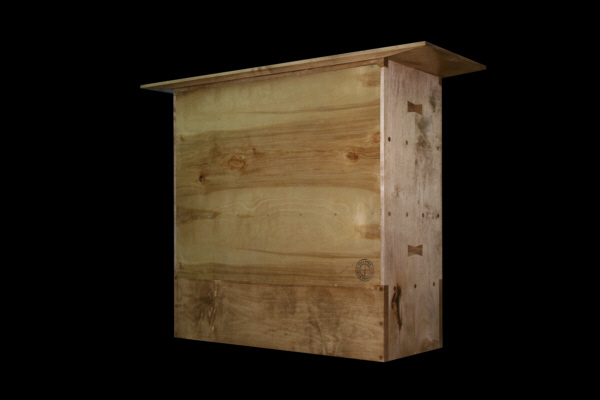 Drawer secondary woods are #1 clear pine. 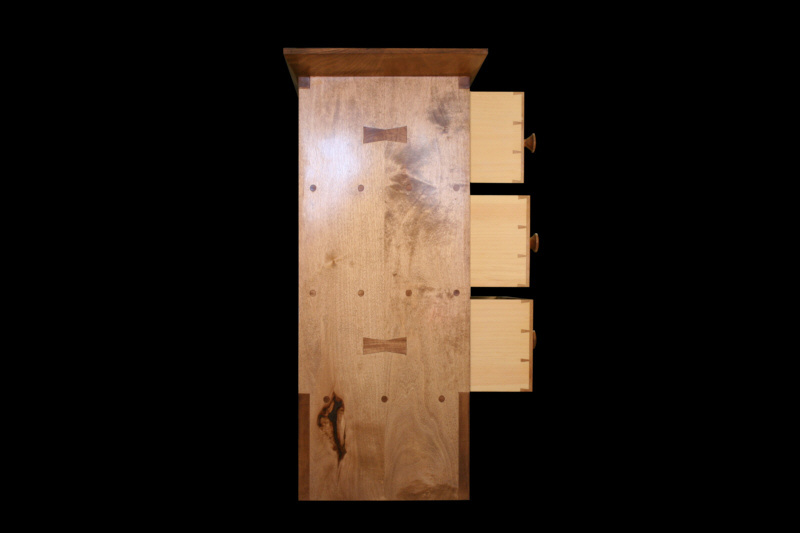 Drawer-Pulls and butterfly joinery are made of apple wood. 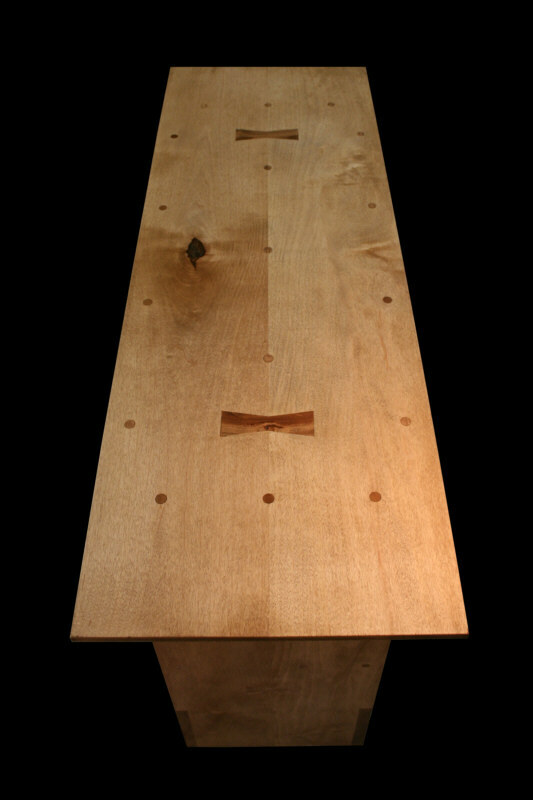 Drawer bottoms are aromatic red cedar. The above picture shows the structural detail of the individually fitted drawers, each sliding in its own position. 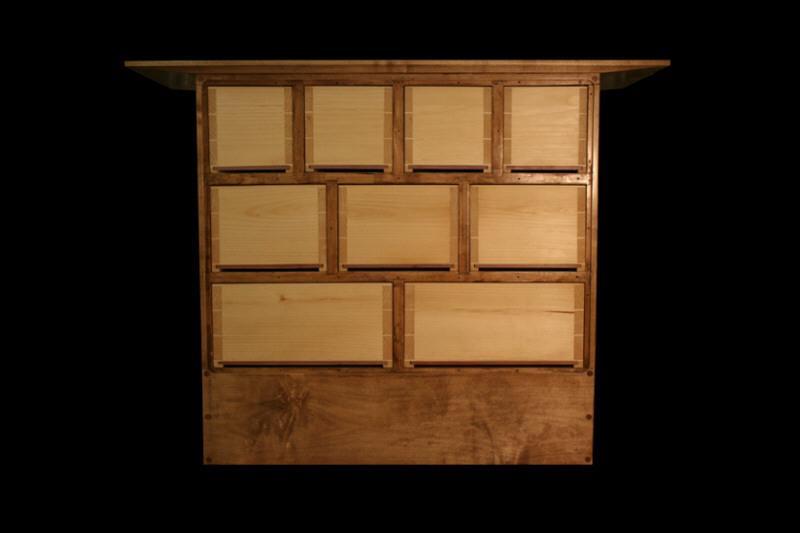 All drawers are made using hand cut dovetail joinery with aromatic red cedar drawer bottoms unless otherwise specified. Rear view showing finished birch back.